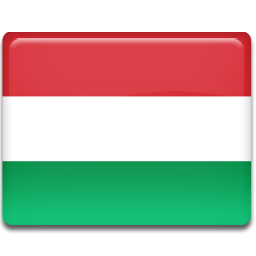 Hungary is a relatively small country, its area is 93,000 km2. It is located in the Carpathian Basin in Central Europe. The country is bordered by seven countries: Slovakia on the North; Ukraine and Romania on the East; Serbia, Croatia and Slovenia on the South and Austria on the West. Hungary’s longest river is Tisza with its 530 kilometres. The second longest river is the Danube, 416 kilometres long within the country. The biggest lake in Hungary and also in Central Europe is Lake Balaton with its 595 km2. The country has a continental climate: cold winters and hot summers. In extreme cases the temperature can go under -20 °C in winter and above 30 °C in summer. The population of Hungary is approximately 10.8 million and its capital is Budapest (for a map of Budapest visit). Szabolcs-Szatmár-Bereg county is one of the biggest counties of Hungary, located in the North-East part of the country. The most important rivers of the area are: Tisza, Túr, Kraszna and Szamos. “Nyírség” partly belongs to the county having unique natural values. Nyíregyháza is the gate of Eastern Europe and it is situated 280 kilometres East from Budapest. Nyíregyháza, the capital of Szabolcs-Szatmár-Bereg county, is the 6th biggest city in Hungary with a population of about 120,000. It is often said to be the city of statues and parks, because visitors can find lots of green areas and monuments all over the city. The city centre is worth visiting for its nice cafés, restaurants and elegant shops, where everybody can have a pleasant time. Nyíregyháza is a popular tourist destination because of Sóstó (Salt Lake), an area that has two lakes with minerals, providing wonderful cure for loco motor diseases. Sóstó also has an open-air bath with several pools. In 2005 the Aqua Park opened its doors to the public. Visitors can also have a wonderful time at the Zoo, the Village Museum and restaurants or can climb to the observation tower.